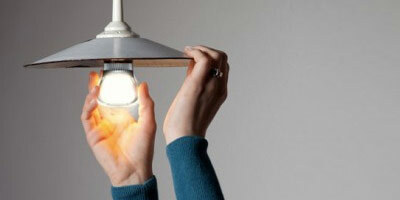 General Lamps Blog - What is retrofit lighting? Fit an exact replacement – buy the same light bulb again and continue with the performance you previously had. In the trade, this may be referred to as ‘relamping’. Fit a retrofit replacement – buy a compatible energy saving light bulb such as an LED and reduce your energy bills. Fit a complete new fixture – This may sound a little drastic and is definitely the most expensive option but if you’re thinking of changing the purpose of the room or committing to its current usage then new fixtures may make more long-term practical and financial sense. Your situation will determine which option is the most suitable. In the majority of cases, especially in residential property, it’s worth going for an LED retrofit replacement light bulb. Reduced energy bills – LED bulbs use 80% less energy than incandescent and halogen bulbs. Opens up choice – LED bulbs are available in a range of colour temperatures from very warm white through to a stark blue daylight. Incandescent and halogen can only produce a warm white colour. In outdoor lighting such as streetlights or floodlights, LED produces a better quality of light. Less maintenance – LED bulbs are long lasting and can last 10x longer than an incandescent or halogen. This means fewer failures and less time replacing bulbs. However while this sounds like a no brainer there are a couple of factors you need to consider. LED bulbs still cost more than incandescent or halogen but in most cases we are only talking a couple of pounds. The return on investment in LED is usually less than 2 years comparing the additional cost of an LED bulb against the savings in energy but this does depend on certain parameters such as the environment it is in and the switching cycle. Not all LED bulbs are dimmable. If you use a dimmer switch to control your lights then you need to make sure the LED is dimmable. All the LEDs on our website will say in the product specification if they are dimmable or not.